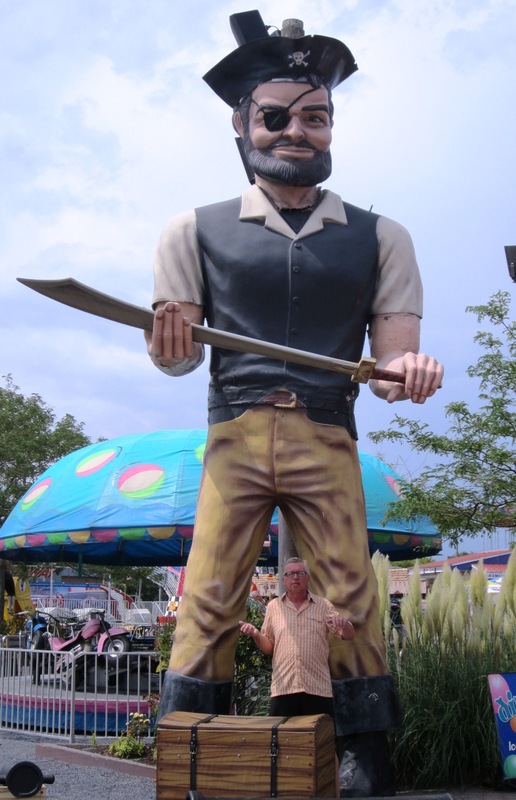 Ocean City Muffler Man – The Home of My "Big Things"
This is a really cool Muffler Man in a Pirate form. When we were in Ocean City, Maryland we drove past a couple times before really spotting him at the Jolly Roger Amusement parton the Coastal Highway. One morning we stopped by to get this image, the place was vacant, we took this image and one Big Aminal image before realizing that the park wasn’t open for the day. I guess we could have wandered around but we didn’t feel comfortable doing that.